Arsenal Analysis: So Wenger rested Arshavin in the FA Cup to end up with this shambles? So Wenger rested Arshavin in the FA Cup to end up with this shambles? You may wonder what Arshavin and the FA Cup have anything to do with this shambolic performance against Chelsea at the Emirates. Arsene Wenger rested, if you remember, Arshavin for the FA Cup semi final against Chelsea. We all wondered why. The real reason begins a few years ago when the finances were put in place for the construction of the Emirates. 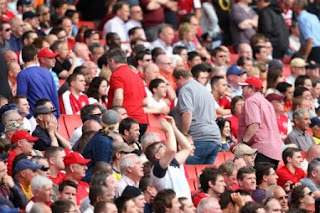 This was, remember, the stadium that would provide financial stability and revenues that would allow Arsenal to compete against the big teams of Manchester United, Liverpool and Chelsea (who themselves do not need to build a new stadium because they have a benefactor shielding them from the realities of the real financial world). But what has actually happened and is blatantly obvious is that the Arsenal Football Club have been lumbered with a massive debt that needs substantial resources each and every year to be serviced. Enter the financial crisis and the severe downturn in the property market and Arsenal are desperately missing those revenues that would have come from the sales of the Highbury flats. End result? Arsenal now REALLY do have to qualify each and every season for the Champions League group stage. No more, no less. And everything else becomes of secondary significance. And if this wasn’t enough things got worse somewhere else. Uefa have decided that third place in the Premier League would go into the group stage directly. Fourth place as before would need to qualify but, unlike before, the draw will include teams from the stronger European Leagues. Finishing third in the Premier League suddenly became significantly more important than before. More important than winning the League Cup or the FA Cup. And so it proved to be that finishing third for Arsenal was deemed by Wenger to be more important than winning against Chelsea in the FA Cup semi final! Nothing else can really explain Arshavin’s exclusion from that game. He was rested so that he could play against Liverpool in the League a few days later! So that Arsenal could make up ground on Chelsea! In other words Wenger cared f*** all about the supporters’ hunger for winning trophies and equally importantly cared not about winning that trophy that would have given the players the confidence that they so desperately need. There seems to be a lot wrong with the finances than what they are telling us. The stadium finances have also dictated Wenger’s policy of football development in going for youth rather than buying experienced established players as they would cost too much to acquire and demand high wages. “We make the stars we don’t buy them” was a famous Wenger quote if you remember. What he doesn’t tell us is that he HAS to make the stars. This is OK as long as it brings success. But unfortunately this football model is flawed. It is flawed for two reasons. The first one is that it depends too, too much on one person to spot the talents from all over the world and nurture them until they become ready to produce the goods. Wenger may not be around for so long and may not be around for the next 15 years that Arsenal will take to pay off the loans. How will Arsenal survive if Wenger stops producing the goods then? The second reason may be even more significant. Since winning trophies is every player’s sole aim in his football life, ending up with nothing, as this football model inevitably brings, pushes him to seek pastures new. You simply cannot win trophies with kids. They have to be surrounded with experienced players like Manchester United do. But Arsenal cannot do that as it costs too much…remember the finances? So once the brilliant youngsters get groomed to be able to function in the first team and become stars their disappointment at being losers gets too much and they want out. What you get is a vicious circle of building up a team, loosing key players every year, building up again and so on and on. The Board may not mind so much. Their time horizon is a very long term one, they are investors remember and they don’t mind waiting for the time to come when Arsenal will have paid off most of the loans. Their investment would be worth a multiple of what they have originally paid out by then. What Wenger needs to do is to keep the stars of today AND buy the experienced players that the team needs to compliment the young talents. And since money is not available form the club's revenues the shareholders need to cough up for this to happen. totally agree!! if arsenal wishes to win anything next year, they would have to buy experience..period!! When Chelsea was purchased, the new owner had a budget of 500 million to spend. He could have spent it all on a club, or spent less and use the balance to buy players. He chose the latter. Since that figure of spending was reached, Chelsea has spent little on players. Indeed, in the last five transfer windows, it is a fact that Chelsea has spent a net amount less on players than West Brom. Arsenal decided the opposite. Instead of players they decided to spend almost entirely on a stadium. In their haste to lambast Chelsea for its spending, Arsenal fans have overlooked the wiser way the West London club invested, putting initial team building before the building of bigger stands. 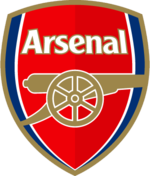 all Arsenal has now is more room to watch thrashings of their team, like this week, last week and in the future. Chelsea fans have a smaller stadium, but bigger smiles. The stadium was never going to put us level with united etc. instantly, it was, as you say, for the future. The crdit crunch changes very little, we were always going to have to tighten our belts with or without it, which is whywe have been living off such meagre means for years. And we do not HAVE to qualify for the Champions League. Members of the board have come out and very clearly stated that the club is financed with a view to us NOT qualifying for the CL, and in fact for us only having attendances of around 40,000. the board have been very careful to protect us from any serious damage for the duration of this debt, sadly it means that for the time being we can't spend too big on too many players. And yet we're still in the top 4 of the league and Europe. Ladies and gentlemen: the genius of Arsene Wenger. The model that wenger has produced is absolutely flawed because as you say it relies solely on him. Can you really imagine players like fabrgas and nasri and clichy and ramsay wanting to stay if he wasn't there? Once wenger leaves the dominos will tumble around him. He has far too much power at the club and no one putting pressure on him, this means he can be satisfied with mediocrity because he's not worried about losing his job. Its not reality, if I dont perform at work i get fired. He needs someone to tell him its success or nothing, because ARSENAL IS MORE THAN ARSENE! Its not reality, if I dont perform at work i get fired.No you wouldn't. If you were the 4th best in a team of twenty co-workers then you would expect a raise. Wenger is doing OK considering a tight budget and bad luck with injuries. He has made some mistakes but certainly does not deserve the sack. Problem is if we continue down this trend of focusing on fourth spot, the fickle fans we have will disappear and the fact we charge the highest prices in the world means we will have stadium missing fans. ...and David Dein saw this problem coming...so he brought in multi-billionnaires in kroenke and usmanov...and instead of appreciated what he did - they kicked him out - because this threatened the stronghold which the board have and threatened their own personal interests. The question is: Do Arsenal buy before the champions league qualification ties or after? Arsenal cannnot be sure of the champions league money, so they won't be eager to spend it before. Last season we were flying high, 1st in the league and looking like we were invincible,we finished the season with 83 points,2 wins and a draw short of the winners Manu. We lost Helb and Flamini and Eduardo and the long term injured Rosicky. Wenger replaced Hleb with Nasri who in my mind is a better player and has relied on Dennilson ,Song or Diaby to act in a holding role,while these players have improved they are not the calibre of Flamini in that role. Adabeyer has gone backwards in my mind and needs to be moved on,Bentner puts a lot more effort into a game than the former and in time could be a decent striker but again these playersw need time? To cut to the chase the club need to pay off Rosicky and Eduardo (he will always have injuries after what he went through)buy an experienced holding midfielder and commanding centre back and Striker hope the injuries stay to a minimun and we then can compete with the teams above us as out league position showed last season we are not that far way! all probably ture and well and good, but wenger spends well over £100m on wages alone each season. we also do spend some money in the transfer market. I beleive overall that budget IS enough to compete better for trophies. I feel we waste money. the most important thing you point out is that if we are not winning trophies, then your best players leave. Even wenger will eventually struggle to get 4th ever year when his best players have gone. Man City et al are catching up and we are going backwards. its a scary time, but wenger will never be sacked. I feel we fans have a very frustrating few years ahead. its been proven that clubs that build new stadiums struggle badly in the following years. we are no different. whats more, schollboy tactical errors like playing 4-5-1 with cesc in the hole have NOTHING to do with money. that is down to wenger's foolishness and stubbornness. Your article really make a lot of sense. You can see that the board keeps mentioning that arsene can spent 30million on one player whenever the transfer window is closed, when it's open, they wont come out and say that arsene can spend all he wants. Unfortunately, i know the some players will want out just like flamini and hleb did. When arsenal have nurtured and waited patiently only for them to move on when they are at their peak age. It's a vicious cycle, and the board and especially arsene needs to buy quality experience players if we are going to be challenging at all. WHAT WENGER NEEDS TO DO IS GO..... the worst thing that happened to Arsenal is that we won the FA Cup in 2005 (when we were completely outplayed) - this has provided a shield for Wenger in that it can be said that we haven't won a trophy in 4 years (now going on 5 as we don't have the possibility of winning anything before March 2010!). But really do all the "Arsene KNows" so called fans realise that he has now failed to win a trophy in almost half the time he has been at Arsenal. Sure we have had lean spells before, but never have we kept faith with a manager who has demonstrated time and time again that he does not have the tactical skills to change and improve our side. With the current crop of players we will not win either the League or the CL, and it is doubtful if we will win the FA Cup either. The matchs against Man U(Twice) and Chelsea (Twice FA CUPSF and yesterday) provides all the proof that is needed. Wenger must go and go now, so that someone who can make the neccessary improvements / changes can come in early enough to get things moving for next season. Wenger said on TV there are only two trophies, the league and the champions league, there is your answer. Okay first of all, we have to acknowledge the great work Arsene Wenger has done. Without him, the club would not be as no where near to where it is now. I am still very much in support of him. "if you're used to eating sausages, you don't mind eating sausages everyday. But if you're used to eating caviars, of course you would not want to go back to eating sausages"
Those aren't the exact quotes by the way I was just saying along the lines. Unfortunately Arsene, we are eating sausages right now. The cheap ones. We were spoilt by you to such beautiful football (i.e caviar) and the invincibles were the most expensive piece of caviar you've given us. Thus, as you would expect, we wouldn't want to stop eating it! Fans wouldn't mind not eating it for a year or two. True fans wouldn't mind perhaps longer, few years or maybe even they don't mind at all. But of course, all fans would not be happy if they continue eating sausages! My point is, I don't think it's unreasonable to expect a lot from him given his track record. I agree with your assessment on the flaws of the Wenger's model. Too much is being relied upon him to make the 'right' decisions. He is not a superhuman, he is bound to make mistakes. Every manager does that. Even the 'great' SAF does it (djemba-djemba, kleberson to name a few). But because too much is relied upon him and so little (even any at all) to challenge his decisions, it means there is no one out there to say to Wenger that "Hey, I think our best player should play the FA Cup Semi-Final!" I don't blame him for that. And you certainly cannot blame him for his efforts. His heart is Arsenal through and through. Look at the offers he received; Man City,Real Madrid. All of them would JUMP at the opportunity of having him as their manager. But I think someone needs to come in and start putting some pressure on him. Somebody needs to tell him that Adebayor is overrated, Diaby is as nowhere good as Wenger thinks he is, Denilson is simply not ready yet and our defence is SHITE! I agree it's all not doom and gloom. I tell you if Wenger starts to realize the flaws in his team, I'm sure he'd make more Arshavin-like signings and this team will improve trumendously. I'm not saying that it will definitely means success, but at least the fans would know that their concerns are heard. And I'm sure most fans out there would agree that's the least they want out of the club they truly love. Let's all stick together for our team, our manager. Calling Wenger to be sacked won't help neither will your boo-ings. If you're not going to cheer for your team, just be patient. That will greatly help the team. Speculation, speculation, speculation - totally unsubstantiated. 1. The first 25 min or so - Arsenal played well and I was impressed with the movement and it looked like it was going to be an easy win. However; as we didn't manage to convert the pressure and chances into goals - Chelsea got back and make no mistake - Chelsea is a very good team. 2. Diaby was a disappointment. From the brilliantly to the absolute horrific. 3. Arsenal did beat both ManU and Chelsea in November and drew against the probable runners-up. It's not like all doom and gloom, against the top three, we have P6 W2-D2-L2. 4. The years before the 07/08 season, "everybody" said we needed to sell Flamini. That season he came good and suddenly the same people claim it was a huge mistake to let him leave. 5. Arsenal seem to lack the WILL to put up a fight. 6. We have good first choices and back-ups all over, not necessarily world class but top PL quality. GK: Almunia/Fabianski - Almunia makes the odd mistake but kept us in the game at OT. CB: Toure/Gallas - Djourou. Weakest among the top 4 but way better than Upson whom is overrated because he's English. Hangeland would be a good starter and have Toure/Djourou as back up. Silvestre...? Senderos will probably stay in Italy. MF: Walcott/Fabregas/Song/Rosicky/Nasri/Arshavin/Ramsey/Wilshere/Diaby - I miss a dominating DM but Song has made some serious steps forward this season. Strikers: v Persie/Adebayor/Eduardo/Bendtner/Vela - a good line up but I miss Eduardo in top form. Will Eduardo and Bendtner be our 1st choice next year or maybe Arshavin as the #2 striker?